Sad news today from the world of professional "real" wrestling. 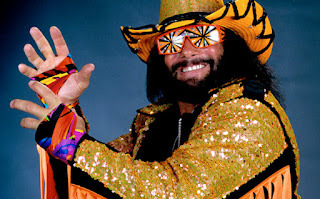 Randy "Macho Man" Savage died tragically after suffering a heart attack while driving his SUV in Tampa, Florida. His wife, who was in the car with him, only suffered minor injuries. 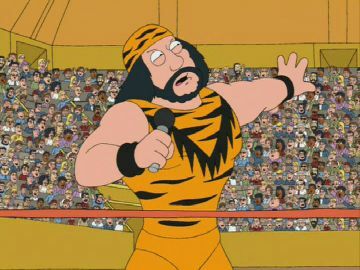 Randall Mario Poffo held twenty championship titles during his professional career and along with Hulk Hogan was one of the primary drivers behind the success of the WWF and bringing professional wrestling to the mainstream. 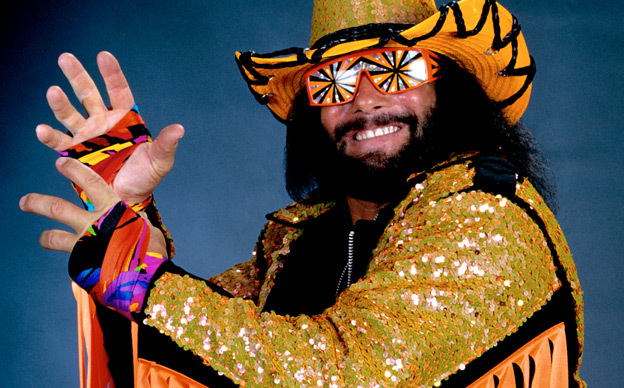 He brought a unique style to the ring along with his raspy voice and trademark "Ohhhh yeaaah" and took full advantage of the marketing machine that was the WWF (now the WWE) and became one of their biggest stars. In typical wrestling form, he shifted side many times during his career going from bad guy to good guy making and breaking various alliances along the way and was "managed" for most of his career by his wife Elizabeth Ann "Miss Elizabeth" Hulette who died of a drug overdose in 2003. Wherever you stand on the subject of whether wrestling is real, you can't deny the incredible fitness required to survive in the ring and the punishment a body must endure. He was an athlete and he reinvented himself many times and always managed to climb back on top both in the ring and out. His greatest match without a doubt was in Wrestlemania III with Ricky Steamboat in what arguably the best match in wrestling history.